There has always been tension between two questions: Do I suffer because I sin–or do, and why do, good people suffer? If it’s not punishment, why do some get cancer and innocent children get raped or kidnapped? As I wrestled with my eating disorder, these questions tore at me. Was I sinning or was I suffering? 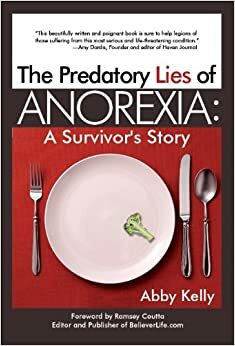 Was anorexia some clinical disease that even good people “contract”? Or was this a penalty for my rebellious will, pridefulness or an idolatrous heart—or even some more blatant, ignored sin in my life, like lying or slander, some time-eclipsed behavior? Jesus answered this for us is one critical encounter with a sufferer. The blind man of John 9 becomes a proof case for us. From a snapshot of his life, we understand Christ’s position, the ultimate answer, to sin and suffering. We are not told this blind beggar was penitent of any sin. He was not pleading at the roadside for healing. Rather it was Jesus’ disciples who longed to find fault or cause somewhere. The surrounding crowd clamored for an explanation for this man’s blindness. Jesus wasn’t indulging; He offered up no satisfactory culprit. Instead, Jesus spit, made clay and anointed the man’s eyes…then, even once the healing began, it wasn’t instantaneous. The Healer instructed the man to go wash.
Romans 5:12 does tell us that sin entered the world through man and sin bears consequences. Our pain does have a purpose, though not always a unique cause. It is not always due to personal sin. Suffering and death entered the world through corporate sin. But the redemptive reason for pain is that Christ’s power shows through us. Perhaps it was just plain suffering, but even that evokes questions. First Corinthians 13:10 says, “God will not allow more than we can handle,” right? I’m sure blindness felt like an excessive burden. Anorexia did. No, the Bible promises not too much temptation, we are still wide and vulnerable to be swamped by suffering. In the course of my slow recovery from anorexia, I fought to choose one of these persuasions: Sin or sickness. Well intending people supported both theories. It seemed that each belief warranted a new approach to healing. But finally, supernatural healing seemed to overtake me and a blending of these philosophies emerged. Today, I still say, “I suffered from anorexia”, but equally I struggled with it as an addiction or false god. What do I mean by ”supernatural” healing or recovery? I mean that I never consciously broke. I cannot point to a moment, a turning point when I began to do all things differently—as in turning from an old sinful behavior or leaving a hospital cured. There were breakthrough moments when Christ’s presence became more real, His support more affirming, His patience more felt but none when I immediately threw away the crutches of restriction, calorie counting and exercise. 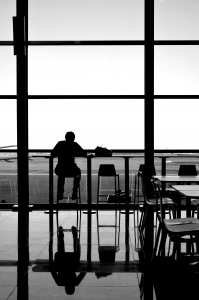 Those behaviors slowly sloughed off; the healthy, life-giving pounds came on gradually while I became mysteriously preoccupied with Jesus and surprisingly lost interest in the scale. I, like the blind man, was in many ways past believing that healing would come, past seriously doing any moral inventory of my failures and past consulting expensive doctors. Was I sick or sinful? It didn’t seem to matter. But here’s the beauty of Jesus: When I quit asking, He healed me. When the blind man wasn’t asking, Jesus healed him. But again, here’s the beauty of Jesus. Even as we suffer, drowning in our too-much, pressed down and weighted under the curse of a fallen world, Jesus steps in to prove God’s rich mercy and the great love with which He loves us and His awesome power. In His perfect time, He makes all people and circumstances beautiful and works things for the good of those who love Him. In the blind man’s case and my own, He chose give sight and to restore my body. < LASTing Peace, Week 49, “As Fit as Necessary”? Beautiful post which reflects the heart of Jesus to heal. So grateful for the promise too that our brokenness won’t last forever. I very strongly believe that God doesn’t cause our sufferings (there was a time some years ago when I did). We must never forget for a single moment that he loves us unconditionally and he has no reason to torment us. He loves us more than we can imagine and always more than we deserve. There is a huge amount of evil in the world and we bring many problems upon ourselves. Others just happen as God din’t create us as puppets. When the problem appears, in our weakness, we can either allow Satan to step in or ask God to step in. The former may do it without us realising it. God is ready but we must ask him and let him in. Prayer has to be our first resort, not our last. •	What part of your life or your past keeps you from believing that God can use you and your experiences for his good? •	How do you want to be used by God? What do you want him to accomplish in and through you?